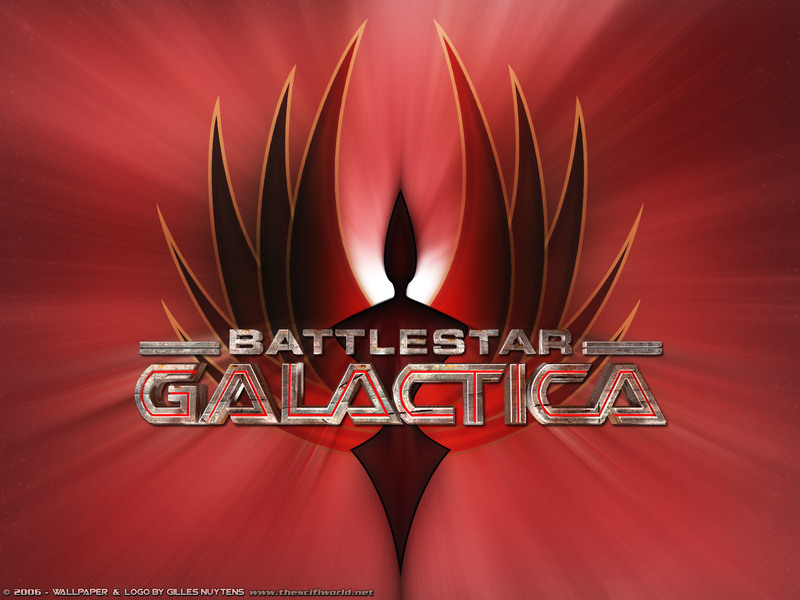 I just finished my sixth straight re-watch of the entire Battlestar Galactica series (the new one, not the old). Now that the reality of the ending is sinking in, I’ve discovered that I don’t actually like watching the finale. No, it’s not because the finale leaves much to be desired, as so many have pointed out at one time or another. I don’t like watching the finale because it is an enormous, unavoidable reminder that Battlestar Galactica is over and will never come back. The show wasn’t canceled. Nor did it end abruptly. The show ended on its own terms–slightly faulty as they are–and can’t be brought back without screwing up the continuity of the series or ruining the impact of the show as a whole. This reaction is a fairly new development for me. I’ve never had this sort of emotional connection to a show, as ridiculous as that might sound. I did love Sliders and a number of other shows when I was a kid (and older), but none of those shows had a finale that I couldn’t watch. Something tells me that this is not something isolated to myself, and I think I have an idea why. Television has changed dramatically since I was a 90s kid. Almost everything on television in the 90s was anthology-style. 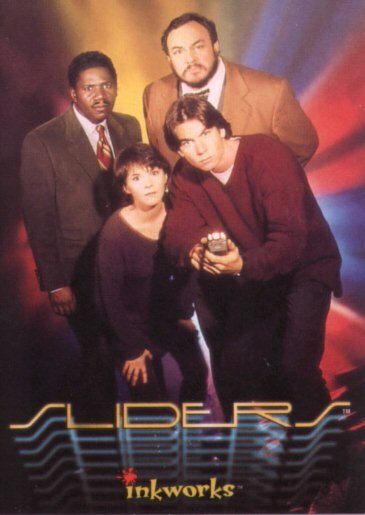 Sliders attempted to create a storyline in its second season (one beyond the whole “we’re trying to get home” bit), but ultimately every episode was the same: a group of folks traveling to random alternate Earths where some different social development has occurred and bad things happen. The same can be said of most of the other shows that I watched as a kid–mostly cartoons on Nickelodeon, with X-Men being the only cartoon show that I can remember that broke the anthology mold. There were certain shows that were not anthology-styled, but, looking back, I can’t help feeling like the 90s and early 2000s were remarkably non-storyline. Most episodes were self-contained, perhaps for good reason: maybe we weren’t all that interested in episodic TV stories yet. The 2000s, however, has been a decade of leaps, with more shows striving to develop a narrative style in which episodes are interconnected, and intricately so. Exceptions obviously exist, but so many great shows (and bad ones, even) have appeared which have a clear, connected storyline running through every episode. Shows like Battlestar Galactica, Lost, and so on have been designed to have continuous stories, moving seamlessly from one season to the next, always progressing major and minor plot points to their conclusions (at least, that’s the intention). What does all of this mean for viewers? Well, with storylines progressing from episode to episode, rather than contained within a single episode, that gives ample time for character development. More development means viewers can get attached on a deeper level, since they are invested in the future of that character. The anthology-style can’t really compete with this. Instead, anthology-style narratives had to evolve or divert their attention to cartoons, sitcoms, and other 30-minute-per-episode programs–some of them remain quite popular, with some hour-long shows remaining at the top of the heap (particularly police procedurals like Law & Order, CSI, NCIS, and so on). This explains why shows like South Park, Family Guy, and American Dad have become so popular. We don’t need to grow attached to the characters of these shows–though, undoubtedly, some of us do. Instead, we can watch a 30-minute episode, or skip the episode and wait for the next one without worrying that we’ve missed something vital from before. But, for the bulk of our programming, this isn’t the case. The anthology-style narrative has been supplanted by the continuous storyline and we seem to be better off for it. I certainly don’t watch the majority of the stuff on television–mostly because I find some of the shows that are wildly popular rather irritating–but the reality still stands: television has changed in a way that the movies have not. Kevin Smith, the infamous screenwriter and director, has acknowledged as much in interviews, and I’ve said something to that effect here. Television has taken narrative storytelling to a new height, and it will, perhaps, be a while before the movies can catch up. Coming full circle, then, it shouldn’t be a surprise that fans like myself dislike the finales for the shows we love. It’s not all about what we don’t like in the finale. Stories may end in ways we didn’t expect, or they might leave too many questions unanswered, but what people like me are upset about is that it’s over, that the characters are now gone, never to be seen again in a form other than a re-run. How about you? Have you ever had this kind of experience with the finale of a television show? Do you think television has changed drastically in the last ten years? For good or for bad? Let me know in the comments! P.S: Feel free to correct me if you know more about the history of television in the last twenty years than I do.